The With One Voice program has twice been named one of Australia’s top social innovations in Anthill’s Smart 100. 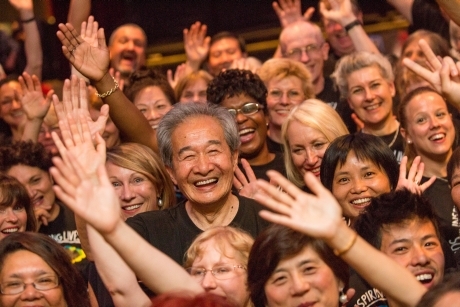 In 2015 the program celebrated six years and, following Founder and Chair Tania de Jong AM’s TED talk ‘How Singing Together Changes The Brain’ Creativity Australia has received enquiries from across the globe. Pilot With One Voice programs are now under development in the USA and Holland.